The Delaware County Republican exposed for using taxpayer dollars to secretly settle a sexual harassment claim made by a former staffer should resign from the U.S. House. 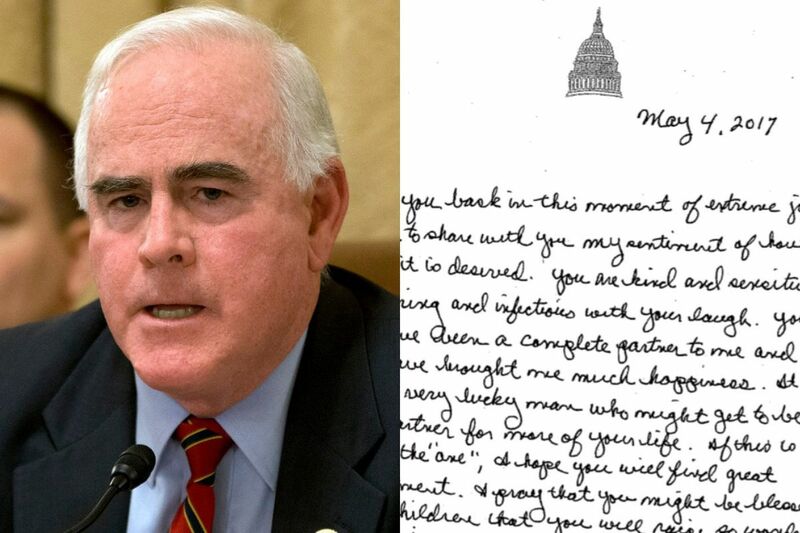 Meehan must go now, not 11 months and five days from now, at the end of the 115th Congress. Meehan, a former U.S. attorney for the Eastern District of Pennsylvania, should still possess a prosecutor's sense of how evidence establishes guilt. Meehan was seeking a fifth term when the New York Times broke an explosive story on Jan. 20 about the settlement. He dropped that reelection bid Thursday after a calamitous attempt at crisis communications exponentially compounded his predicament. If Meehan's betrayal of the trust of the public and his constituents are bad enough to end his congressional career, why should we wait until next January to be rid of him? Members of the House are paid $174,000 per year. That means we'll pay Meehan $161,605 before he departs public office. But it's not just about the money. Consider the defense he offered last week. Meehan, 62, explained that he told the staffer, decades younger than him she was his "soul mate." And he claimed he revealed this not to harass her but so they could prevent his feelings from leading to anything inappropriate. He also released a two-page, hand-written note he gave the aide last May, describing her as a "complete partner to me." Across the region, the cringing was legion. The harassment claim was already terrible. That Meehan clearly still does not understand that is unforgivable. Meehan even tried to duck culpability through semantics, saying the secret payout was "severance," not a settlement. This from a member of the House Ethics Committee who had been reviewing sexual harassment claims filed against other representatives. Meehan offered to pay back the taxpayers, but only if an Ethics Committee investigation concludes that he harassed the staffer. There is no credit to be had in offering to repay public money — with strings attached — only after getting caught spending it to conceal your own bad behavior. Then there is this: Meehan told Jonathan Tamari of the Inquirer and Daily News he felt "invited" to express romantic feelings to his aide. He cast himself as a victim, recounting how it was "a big blow to me" to hear the staffer had started dating someone. "When I discussed her boyfriend, I stated that I wished I could be better at accepting it right now but I probably needed a bit of time," Meehan told Tamari. Let's pause here to let that sink in — A congressman needed time to process that an employee was dating someone. That's some pretty deep creepy. U.S. Rep. Steve Stivers, an Ohio Republican and chairman of the National Republican Campaign Committee, offered this: "While I'm disappointed by the circumstances leading to Congressman Meehan's retirement, I thank him for his dedication to his district," Stivers wrote. "We must always hold ourselves to the highest possible standard — especially while serving in Congress." Meehan should hold himself to that highest possible standard today, not 11 months from now. #TimesUp.